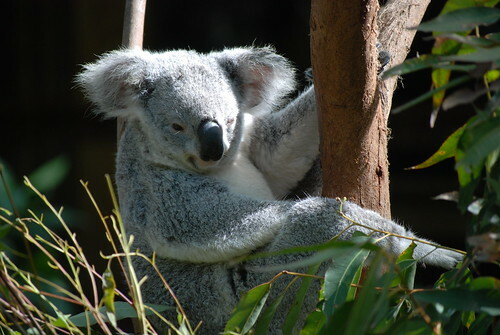 Koalas love eucalyptus, they spend three hours a day munching away on the sturdy plant. Likewise, Ubuntu 9.10 Karmic Koala loves Eucalyptus, the Open Source system for implementing on-premise private and hybrid clouds using the hardware and software infrastructure that is in place, without modification. This allows you to run your own private cloud on your own hardware and infrastructure. Sound interesting? It really is, and this a rocking new feature in the new Ubuntu Server edition. As we build to release, we could really use your help to make sure that Karmic Koala’s Eucalyptus support is rock solid. This post outlines how you can test this functionality, and provide some valuable feedback. You will also need to download the latest daily Ubuntu Server ISO image and burn it to CD. This machine will control the nodes, it does NOT need KVM support. You can install it via the Ubuntu Enterprise Cloud task in the installer and select Cluster as the type. After you have installed a controller you are ready to add nodes. This is the machine that needs the KVM support. Install it via the Ubuntu Enterprise Cloud task in the installer and select Node as the type. After you have got the cluster and the node all installed and ready to go you’re ready for the final steps which are available here. Each of these steps should be relatively pain free, after that you’re ready to start testing Eucalyptus. The Eucalyptus Getting Started Guide contains commands you may want to try. Please Note: the Getting Started Guide is for version 1.5.2. Karmic Koala includes version 1.6, so there are some differences involved. You can however take a look to the on going work of the version 1.6 documentation. This tool will send relevant debugging content to Launchpad to help identify and resolve the bug. More details on ubuntu-bug can be found here. Discussion about Eucalyptus can be posted directly to the ubuntu-devel mailing list and you are welcome to join the server development team in the #ubuntu-server IRC channel on irc.freenode.net. Image by Daniele Sartori and available here. It would, if I knew what it meant. What does a private “cloud” do for me? Does it have redundant storage or services? This isn’t the first time I’ve asked this question. Those I’ve asked aren’t aware of any value to this. But I haven’t asked you and you seem to know something about this! So is this a solution to a problem, or is it looking for a problem to solve? It would indeed help a lot if there was a quick explanation of what the cloud does, and how it’s different from the old cluster concept. Node installation fails with message “Failed to retrieve the preconfiguration file”. node-preseed not present in any current eucalyptus*.deb files. The best example of a private cloud I’m aware of is tonido. (www.tonido.com) Look at the site, that spells it out pretty easily and clearly. This is a good service, and will be more and more common. I’m glad Ubuntu is WAY ahead of this curve. Jono, you have to explain why you cannot test this without 80GB free disk space? That seems extreme compared to normal KVM? 1GB of RAM and 80GB of free space…. well it can work with very low configuration too…. good… from where can I download this server edition??. Please provide more information over it. Provide links to related topics if possible.keep posting. Will be visiting back soon.